Contact our burn injury attorneys in Tennessee today! Burn injuries are quite common. Nearly 2.5 million individuals suffer a burn injury each year in the United States. The unfortunate truth is that plenty of burns result from another party’s lack of due care. If you have endured any sort of burn injury, the first step is to obtain the proper medical treatment. Once your injury is tended to, reach out to a Nashville Burn injury lawyer at Lerner & Rowe Injury Attorneys. Our legal team will review the nuances of your burn injury with a focus on the details of the incident that caused the burn. We will explore every possible angle to determine if there is any chance that another individual, group of people or institution is responsible for your burn. Burn injuries are commonly caused by exposure to heat or fire. In some instances, burns are caused by exposure to dangerous chemicals. 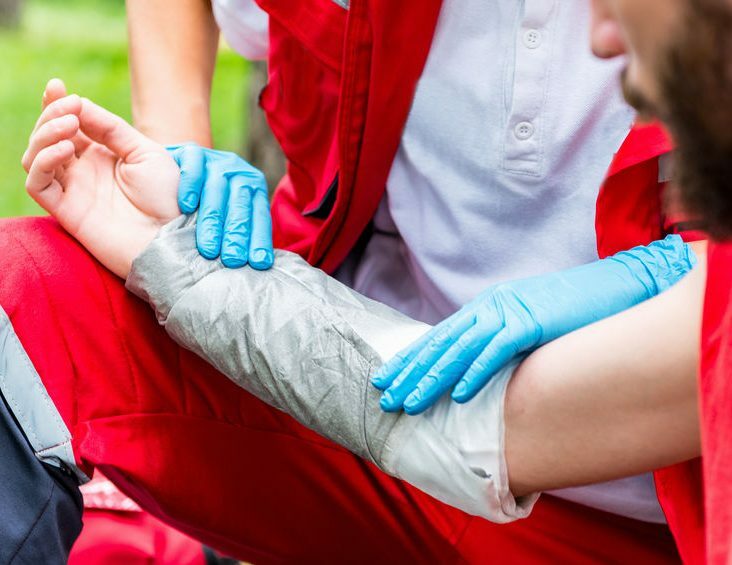 Everything from a Nashville auto accident to a house fire, explosion or construction site accident can burn the skin and result in permanent disfigurement or scarring. A burn injury is almost always extremely painful. This pain usually extends long beyond the moment when the burn occurs. The healing process is quite burdensome, from skin sensitivity to rate of healing. Burn injuries are some of the most expensive to treat as they often require reconstructive surgery, skin grafting and physical therapy. Lerner & Rowe help Nashville burn injury victims every step of the way. Our Nashville burn injury lawyer will fight for financial compensation to cover medical treatment, missed time at work, pain and suffering. Suffering from a burn injury? If that injury occurred at no fault of your own, you need legal representation. The sooner that you team up with a skilled legal practitioner, the better. Perhaps you lost time at work as a result of your burn injury. Maybe you racked up thousands of dollars in medical bills. You should not have to bear such financial burdens if another party is responsible for your burn injury. We can help prove the other party’s fault and obtain your financial compensation. Contact Lerner & Rowe Injury Attorneys for a free confidential case evaluation. Our friendly legal team will sit down with you to review the particulars of your case and explain your rights as dictated by Nashville law. We will explore every possible legal option to obtain the justice you rightfully deserve. Reach out to our Nashville burn injury lawyer today to find out if your case has merit. You can contact us over the phone by dialing 615-333-8888.